Maitland is located in Orange County, Florida. Maitland is the epitome of chic and class in the central Florida area. Maitland is filled with many lake and scenic locations perfect for either classic homes or refurbished/flipped homes to reside in. Maitland is also the home of the RDV Sportsplex which includes a full fitness club with workout area, pool, basketball and tennis courts, as well as the Ice Den, a skating complex with two full size ice skating/hockey rinks and pro shop. Maitland is home to a handful of elementary schools as well as Maitland Middle School and numerous private schools including Maitland Montessori School, Orangewood Christian School, and Jewish Academy of Orlando. 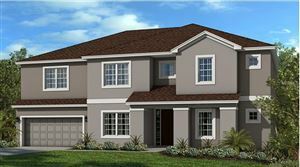 Maitland is a short drive away from downtown Orlando and very close to all major highways.